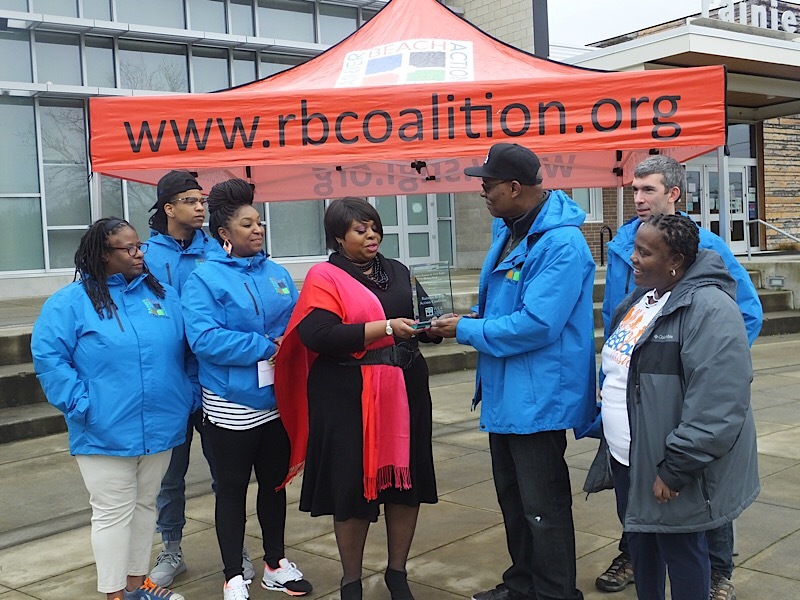 In presenting this award, its it’s WEA’s belief that the Rainier Beach Action Coalition has demonstrated honoring of the past and is dedicated to creating a just society. 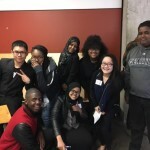 Rainier Beach Action Coalition (RBAC) is a result of a merger, two years ago, between Rainier Beach Community Empowerment Coalition (RBCEC) and Rainier Beach Moving Forward (RBMF) out of a desire to grown more capacity for the Rainier Beach neighborhood. 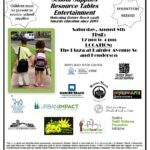 The partnerships and/or committees RBAC has a stake in include Rainier Beach A Beautiful Safe Place for Youth, Communities of Opportunity, FreshLo, Rainier Beach Economic Development Committee, the Race and Social Equity Taskforce, Link2Lake, South CORE and the Southeast Seattle Education Coalition. Planning meetings are typically held at Neighborcare’s Rainier Beach Medical and Dental Clinic, 9245 Rainier Avenue South, Seattle, WA 98118. Rainier Beach stands out among Seattle’s many neighborhoods because of its unique and distinctive assets; its racial, ethnic and religious diversity and its potential opportunities for innovative and equitable development. PreviousBSK Parent Focus Group March 28th with $25 Gift Card!